Femi Otedola is a popular Nigerian businessman and philanthropist born on November 4, 1962. Otedola is a business mogul known as the chairman of Forte Oil PLC and founder of Zenon Petroleum and Gas Ltd.
Asides dealing in fuel products, he also owns quite a number of other businesses across shipping, real estate and finance. 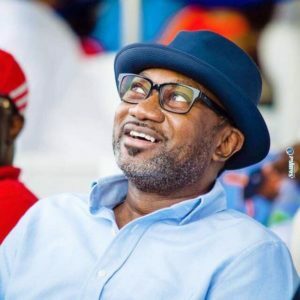 Otedola became the second Nigerian after Aliko Dangote to be on Forbes List of dollar denominated billionaires with an estimated net worth of $1.2 billion in March 2009. He is a real philanthropist having contributed a lot to the development of the country in every aspect of the economy. He made donations to the Michael Otedola University Scholarship Scheme which was meant to give underprivileged students in Lagos State access to higher education. He also made donations to the state Security Trust Fund in a drive to reduce crime in Lagos state. Although he is not into politics, but he has been reported to be a financier of the People’s Democratic Party having contributed N100 million to President Obasanjo’s re-elction expenses in 2003. Femi Otedola was born in Ibadan, Oyo state part of Nigeria to the family of late Sir Michael Otedola. His father was the Governor of Lagos state from 1992 to 1993. Otedola who is originally from Oyo state, currently lives in Lagos State partb of Nigeria. He has wanted to be a Reverend father since he was a kid but his business instinct caught up very early. Before he ventured into the petroleum sector, Otedola had previously worked for the family printing press in the 90’s. Otedola set up Zenon Petroleum and Gas Ltd in 2003 and by 2005, it already became a big name in the Nigerian petroleum market. Zenon controlled a major share of the Nigerian diesel market, supplying fuel to most of the major manufacturers in the country such as Dangote Group, Cadbury, Coco Cola, Nigerian Breweries, MTN, Unilever, Nestle and Guiness. Also in 2005, Zenon acquired a 28.7 percent stake in African Petroleum, one of Nigeria’s largest fuel marketers. However, due to the acquisition of a large part of African Petroleum in 2007, Femi Otedola was appointed the chairman and chief executive of the company. In December 2010, African Petroleum was rebranded to Forte Oil. A proper restructuring of the business was carried out by Otedola, while focusing on technology and improved corporate governance. As at September 2015, Forte Oil sold 17 percent of its equity to Swiss commodity, giving Forte Oil access to global markets. 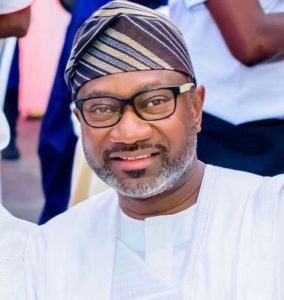 Asides dealing in petroleum products, Otedola also owns many properties such as being the founder of FO Transport and Seaforce Shipping Company Ltd, Swift Insurance, Atlas Shipping Agency and FO Properties Limited. 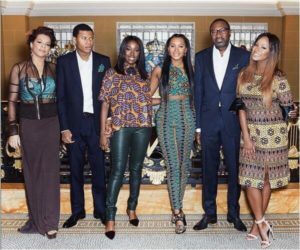 Otedola is married to his beautiful wife, Nana Otedola and their union is blessed with 5 children, three daughters and a son. His three daughters include; Christine Olawunmi, Florence Ifeoluwa and Elizabeth Temi. The name of the son is Fewa. One of his daughters, Florence Otedola popularly known as DJ Cuppy, is a Nigerian DJ and music producer. Her younger sister, Temi, is a style blogger and aspiring designer. Femi Otedola is a businessman with Luxury homes and cars. He has different houses in the country, one of which is expensive home in Ikoyi where he resides with his family. He also has a house in Banana Island and Abuja. Femi Otedola is one of the most influential Nigerian businessman with an estimated net worth of $550 million dollars.